This is one of the testimony that shock the world because of it heart piercing ordeal been unveiled by Pastor Abraham Yakubu from Kogi state who hails from a Muslim back group; and later become a christian and obtained the grace of God in beholding heavenly realm. This divine revelation of Pastor Abraham Yakubu titled; DO GLORY NOT YET simply means; in your quest and zeal in serving God and making heaven DO NOT GLORY YET; because the devil hasn't given up hope on you. The devil still believes you can fall from that high mountain of Holiness and righteousness. As you read this testimony; also ensure you pray afterward for the special grace never to missed your heavenly glory at last in heaven. Can you now imagine the number of dead per day? In Heaven, there is neither day nor night. Reflect this in retrospect to our own world – a day means morning and night. In Heaven, on a very good “day”, only five people might make Heaven; sometimes three, two or even one person! Sometimes nobody at all. However, Some take their liberty in Christ to be an occasion of the flesh (Galatians 5:13), forgetting (or is it neglecting?) 2 Corinthians 7:1; Hebrews 12: 14. That is why some “born-again” will be “weighed in the balances (of their lives after being born again), and (will be) found wanting. )” (Daniel 5:27). 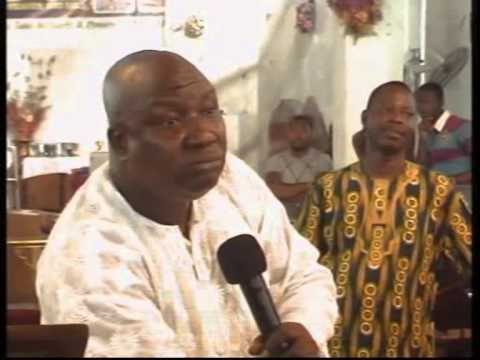 A translated revelation of the death experience of Pastor Abraham Yakubu. I was born into a muslim family in Iheima, Kogi State, Nigeria. My name is Iliasu and my father’s name (surname) is Yakubu. My brothers are Karim and Lamidi. I know that many of you have been in the work of the Lord before I was born. Even when we talk about being an Evangelist or Pastor, many of you have been Evangelists or Pastors long before my mother gave birth to me. This morning, God himself addressed me and explicitly said “Abraham, don’t celebrate yet.” The message I heard from God deeply touched my heart. It’s on this very message from God we shall talk about this morning (or whatever time of the day it is that you are reading this) as I address you: a minister of God who has been serving God for a long time; you, who have just started in the ministry with God; and you who may not even be born again and so carelessly living your own life without God. 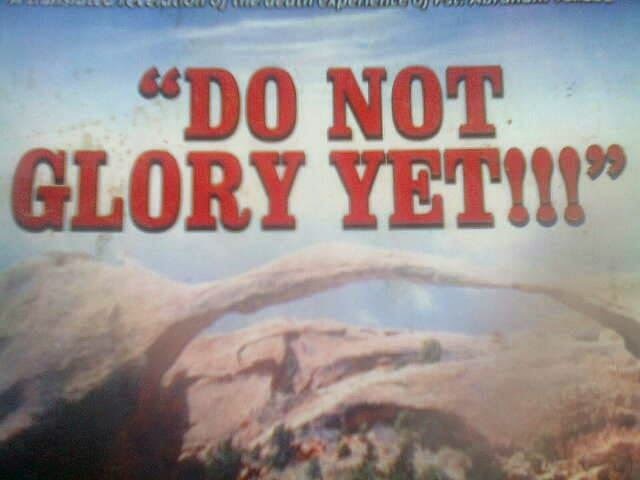 The Lord is saying that we should not glory yet. That in this ministry, we should not say yet, “I am competent”, “I am somebody”, or “I have arrived”; except we see the end of the work. It is not just to finish the work, but to finish well that matters. That is when the owner of the work takes us to His side and we drop our sword by the knee of Jesus. Then, we can now show our glory and say “Praise the Lord!” Read 1 Corinthians 9:15 – 17, 24 -27; Philippians 3:10; 2 Timothy 4:1 – 8 and Luke 13:22. Most of our emphasis shall be on these passages, so don’t forget what the Lord told me, “Abraham, don’t celebrate yet.” The mission on our hands is a mission with absolute faithfulness and truthfulness, and is a work that must be done with fear. 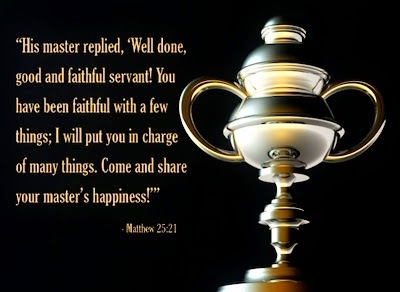 It is a mission with high expectation that at the end of the day, the owner will salute us and say, “Well done thou good and faithful servant” (Matthew 25:21). I pray in the name of Jesus that we don’t end-up miserable at the end of our lives. When you work as a minister, don’t do it because of any other thing rather than being faithful and truthful to the one that called us. I have determined that whatever it will take, I will make God happy for choosing and sending me to do His work. Anything contrary to this will be bad. I will like to say something that it is very unfortunate; that somebody left God’s place (God created all men and women, so we are all products of Heaven) and came to this world; and yet ended up in Lucifer’s place. This is unfortunate! It is even most unfortunate to call such a person a Christian who has testified to be born-again sometime; and at the end of the day, he cannot return to God whom he has confessed to be his Savior and Lord. It is rather unfortunate! Father told me, “Abraham, don’t celebrate yet.” We all came to this world one day and one day we shall all leave this world. Everyone is entitled to death and there is no way out- death is inevitable. I will die, everybody must die someday and this death we are talking about can come at anytime. Death met me inside a vehicle; it can meet you inside your houses, in a ship or airplane. There is no place death cannot occur. I will like to share with you what happened to me. What you should first know is that I obtained mercy and got grace from God. So many people of God and many ministers of God have left God and did not return back to Him. But He gave me the grace and some other people like Bro. Sambo, Moses, Sis. Cecilia etc. who left this world and were permitted by God to see so many things in Heaven and hell, and were later returned back to this world. That was how I continued to pray. 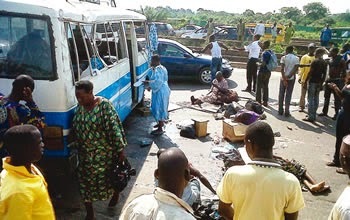 As soon as we left Guru-Maharaji spot on the (Lagos – Ibadan) expressway, the Tyre of the vehicle exploded. My people in the Lord, not that I was sleeping, the vehicle somersaulted and after sometimes, the appeared to me as if it was the break of dawn. I looked at the other side, I saw several vehicle sparked along the road. The vehicles going to Lagos parked. When the vehicle first somersaulted and landed, it landed by my side, so that affected my back and spinal cord. I heard a noise from my back and there was an iron in my front pressing my chest, and I was compressed in between. I was groaning in pain and crying, “Please, come and help me; please, come and carry me …” Though I was crying for help, people were not hearing me. Please hear this; it is now that you still have the opportunity to talk. You can still call on God now, you can still amend your ways and you can still plead with God today. But a time is coming, when you will be talking to people standing beside you, and yet they will never hear you. And a Good Samaritan brought some water for me to drink but another person was opposing it, saying “Don’t give him the water, because if he should drink the water, he will surely die.” People of God, that thirst of water that day was because of the great loss of blood. Don’t forget the Savior said on the cross, that He was thirsty. The thirst of our Lord Jesus Christ is all of us seated here and all souls in the world, how we should in our journey on this earth, so that we do not end our journey in modernity and end-up in hell fire. I later heard that a man and his wife (who were both medical doctors) were coming all the way from Ilorin and the Spirit of God ministered to him, saying “One of my servants is in that vehicle, quickly take him to the hospital before he dies.” He was the one that took me to the hospital, he also paid my medical bills and he I never knew him before. My prayer is that, one of these days, as I will be testifying like this, that he will come out of the congregations At this juncture, this is the end of a part of my life story, and I pray that all of you will not have a reason for Hospital this year; and for those of you who are medical doctors, I pray you shall be successful. they will say to the family, “No problem, he will be fine. Just be prayerful.” Now imagine that the doctor has gone, the nurses have also gone and now is the time for such a person to go to his eternal home. It is good to always think about. Please do not be angry with me, because death is inevitable. This is one topic we don’t think about every day. When it is time for him to go (and usually this is what happens), he will continue breathing high, and at that moment the family will be disturbed and will run around, calling on the doctor, the nurses and on anybody available to revive him. And from breathing high, he takes his last breath and that is all. At that moment, he will give up the ghost. He will lift himself up and down, and later throw himself through the wall. You see, it is only your body that cannot penetrate a wall, but your real self will diffuse through the wall at a very high speed, an uncontrollable speed! And suddenly he will see himself on white sand with small granite stones. People of God, this place I am talking about, there is no hill nor mountain, no water nor tree – it is just an empty flat land. And the spirit will be wandering and asking himself, “Where am I? What am I doing here?” Some people will be coming from far and they will be approaching gradually; and his heart will be troubled. After sometime, somebody will touch him at the back and he will ask the person, “Please where am I?” The Angel will tell him, “Son of man, you are dead; you have left your body behind. Now look this way.” When you look at the other way, it is also without end. You look at your back, the field has no end. The answer will be, “Yes I am your shadow and I have been with you all your life.” If you happen to be a backslider or a sinner who has never repented before, the shadow will twist the hand back and puncture the thumbs, then insert a padlock and lock both of your hands with the padlock. 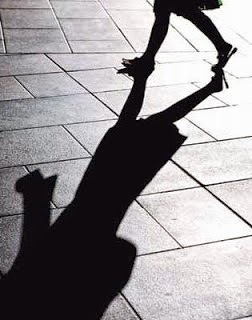 Having handcuffed him, the shadow will now grab him and say, “The journey has started.” The two of them will lift up and begin a race at high speed. The first type of backsliding is when such an individual has backslidden in the heart and yet nobody knows it. You may have backslidden in the heart and still preaching and conducting evangelisms. “They made (Him) the keeper of the vineyards; but (His) own vineyard have (He) not kept.” (Songs of Solomon 1:6b; Proverbs 14:14). The second type of backsliding is when there are noticeable physical evidences. It is the situation when you used to be a prayer warrior and a very strong man of God, such that when you go on your knees to pray, you can pray from morning till evening before standing up. But now, the only time you pray is when you are in the Church and leading prayer session, or the prayer session being lead by someone else. If you fin yourself in that position, you have already backslidden. A Christian or a man of God, who enters a car and can no longer preach the gospel; a Christian or a man of God who can no longer do personal evangelism, has he not backslidden? 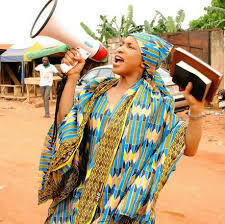 “Once I was in a vehicle going to Lokoja, I was not preaching but listening to a message. But I heard, “Abraham, you are now a big man for you can no longer stand to preach.” Immediately, I stood to my feet and started preaching, not knowing that there was a man in that vehicle who was going to commit suicide because of what he was going through in his life. If a Christian or a minister of God has become so big that he can no longer do personal evangelism again, that person is already a backslider. When such individual has been reading the Bible very well before, but now he no longer has the urge to read the Bible anymore. Anytime he makes an attempt to read, he will just sleep off; that is a sign of backsliding. That person may be behaving anyhow in the Church and will not even take any correction. He or She will be living an untruthful and or immoral life. In the name of Jesus, I pray for all backsliders, that the God who returned me to Himself after backsliding, will return you in Jesus name! READ THE CONCLUDING PART: 13th Series Of Halls To Encounter Before Entering Heaven. Various Screening Halls To Encounter While Journey To Heaven. The Queue Of The Dead. The Two Sides Turning To The Left Side. Turning To The Right Side. Sin revisited At The Hall Of Salvation. A General Oversea That Missed Heaven. A woman at The Hall of Salvation. My turn at The Hall of Salvation. Sin revisited at The Hall of Restitution. A woman at The Hall of Restitution. A General Oversea at The Hall of Restitution. Sin revisited At The Hall Of Forgiveness. Sin Revisited At The Hall Of Giving. Sin Revisited At The Hall Of Works. Sin Revisited At The Hall Of Vain Words. Sin Revisited At The Hall Of Accountability. At The Hall of Separation, Commitment and Self Sacrifice. At The Hall Of Worldliness. At The Hall Of Unbelief And Fear. At The Hall Of The Fruit Of The Spirit. At The Hall Of Holiness. A woman At The Hall Of Holiness. A Pastor At The Hall Of Holiness. At The Hall Of Children. Mary Weeping Because Of Worship. 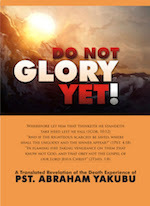 5 Responses to "Do Not Glory Yet By Pastor Abraham Yakubu"
I thank the Lord Jesus for this blog. Brethren throw some light on the scriture where it talks about the cutting of beard(leviticus 19:27), should not cut It? God bless. Honestly as a man, i love and cherish beard. I love applying several design on it but when i surrender my life to Christ every thing change. Though i struggle with it, i mean how can i just shaved my entire beard? Yes; i did; because while preaching or evangelizing to people on the streets. You are expected to look unique, in co-operate and modest wear as a true disciple of Christ. I can't just dress and present myself any-how to the public as christian. No; the world doesn't have bible. My dressing outlook is the bible which they read daily. Whenever i dress and portray myself like them; what different does it produce? I am the light of the world and my lightness must shine all to the glory of the Lord through my character and dressing code. Evening sir. Evangelist, please what can you say baout secret sins/hidden/unconfessed sins and how to find them out and repent of them?